The World Boxing Union President, Mr. Don Lewis, announced earlier today, that former WBU Light Heavyweight Champion Tony ‘Oakey Kokey’ Oakey has been appointed to the board of the World Boxing Union’s European division - WBU Europe. During his stellar career Tony fought no less than seventeen Championship bouts, securing, in addition to the WBU Light Heavyweight World crown, the BBBofC Southern Area, British, Commonwealth and International Masters titles, as well as winning the prestigious Matchroom Sport promoted Prizefighter – Light Heavyweight Tournament in 2009. Tony’s reign as World Champion began in March 2002, when he beat Ukraine’s Kostyantyn Shvets, for the vacant WBU Light Heavyweight crown, at the York Hall in London. Just two months later the Pompey man was to successfully defend his newly won crown, against Neil Simpson, in front of a home crowd at the Mountbatten Centre in Portsmouth. In October the same year Tony returned to the York Hall in London to once again successfully defend his title, this time against Estonia’s Andrej Karsten. Just a few months later, in March 2003, Tony was once again back on home turf, at the Mountbatten Centre in Portsmouth, to successfully defend his title against Leicester’s Neil Linford. For the final defense of the WBU World crown, Tony was once again back at the Mountbatten Centre, however this time the Pompey man failed to retain his crown, against Matthew Barney, by a controversial split points decision - Judge Tony Walker scoring the bout 114-113 in favour of Tony, Judge Karl Rogers scoring it 113-114 in favour of Barney, as did judge Reg Thompson, albeit by a much wider margin of 111-116. Following the loss of his World crown, Tony remained on the Championship trail, although preferring to concentrate on domestic titles. Tony retired from competitive boxing in May 2010, following the loss against Michael Banbula, for the British Masters title. 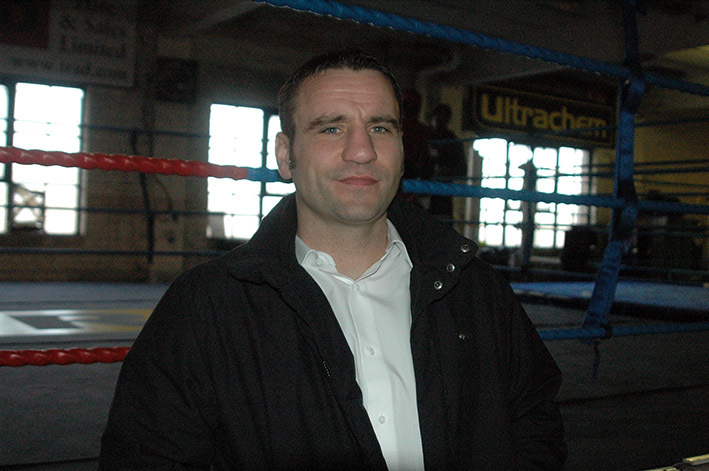 Speaking from his former ‘home gym’ the TRAD TKO Gym in Canning Town, Tony spoke briefly on his new appointment. “It’s a real honour to be back working with the World Boxing Union. I defended my title three or four times, it was the highlight of my career winning the WBU title. It’s a great title and at the time Ricky Hatton was WBU Champion as well, it meant a lot for me, it was always on TV and to be alongside Ricky was a great achievement. I think it is great the WBU has come back to the UK, it’s great for the upcoming young European boxers, to be able to fight for the WBU International, Inter-Continental and now the WBU Europe titles, it gives everyone the chance to fight for a title that means something, hopefully after success in these Championships then move on to the World Championship scene. You can’t beat experience you know, being a retired veteran I suppose, it’s good to be able to pass on my knowledge and to give advise when it’s needed and of course you can see things that other people might not see. Speaking from America, World Boxing Union President Mr. Lewis added. “It is with great pleasure that I welcome Tony to the World Boxing Union team, he was a great Champion and a true ambassador for the sport of boxing. Following his retirement from active duty, Tony remained actively involved in the sport, mentoring young fighters such as Joel McIntyre. Under his guidance Joel recently won his first domestic title and is set for further Championship action this year, hopefully in time he too will fight for a WBU title. Tony’s willingness to pass on his knowledge to young boxers, as well as his genuine desire for the growth of WBU Championship boxing in Europe, is key to his appointment to the board of the WBU Europe. Tony, along with other members of the WBU Europe board, will be actively involved in not just the development of the World Boxing Union within Europe, but will also be part of the rankings committee for the WBU Europe as well as oversee World Boxing Union Championship bouts within Europe. WBU Europe Managing Director, Gianluca Di Caro, has been busy recruiting top European officials to the team over the past few months.